Good morning. Lots of results today, which I will have to really belt through, as I have to be on a train for London by 10:30 this morning, for a company meeting. My diary is packed for the next 3 weeks, with in total meetings or presentations from 18 companies scheduled (some in groups, such as the ED and ShareSoc investor evenings), so it's going to be pretty manic trying to take in all of that! But it's what I enjoy doing, so bring it on! I find the more companies' management you meet, the better you get at sorting the wheat from the chaff. Or at least spotting the better risk/reward opportunities, might be a kinder way of putting it. The company I am seeing for an analysts lunch today is £270m market cap Hargreaves Services (LON:HSP) - they operate some UK coal mines, and are a distributor of coal & coke, haulage, etc. The reason I'm interested in seeing this company is because they seem so cheap on a PER basis. 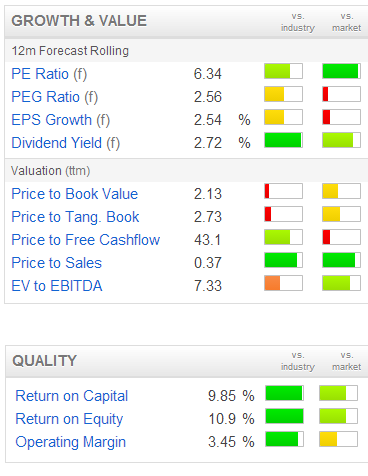 At 806p the shares are indicated by Stockopedia to be on a forward PER of just 6.3, and with a 2.7% dividend yield. The Balance Sheet has some long-term debt, but it's not excessive at all, with net debt reported at £77.9m as at 31 May 2013. Figures issued this morning are for the year ended 31 May 2013, and show turnover up a whopping 36% to £843m, and continuing underlying profit before tax up 5.9% to £52.2m. Looks like there are some one-offs due to problems at one of their colieries, but this has been known about for some time. From a Google search, I can see that the price of coal seems to have shot up in recent years, so presumably that is driving things. Continuing underlying EPS is reported at 134.6p, with a 20.5p dividend, which both look a little ahead of expectations. I don't know anything about the coal sector, and obviously given its history of decline, have always assumed that it's moribund in the UK, but maybe not? In any case, I think most of HSP's profits come from parts of the business other than production. Hi Paul, interesting to hear that you're meeting management today - maybe you could ask them that if they have future placings (they had one back in April), whether these will be open to private investors? The one in April was institutions only. This really is something that needs addressing - private shareholders should be on a level playing field in terms of equity fundraising, especially when technology and costs make it no less difficult to include both institutional and private investors. Couple this with frequent share price drops in the run-up to placings being announced - Hargreaves Services (LON:HSP) share price dropped from over £9 to just under £8 in the run up to the placing, shareholders get hit with a double-whammy. I've held these for many years, and agree with your sentiments re: the valuation of the company. The UK coal market has suffered from massive underinvestment - especially at a time when world demand is buoyant. Hargreaves Services (LON:HSP) are hoovering up assets at reasonable prices to feed their long-term supply contracts with the major power generators. Very much looking forward to hearing your feedback. You could also ask them on their latest view on running down Maltby and any +ve asset realisations from it. Interims for Tasty (LON:TAST) look good! "Turnover for the 26 weeks ended 30 June 2013 was £10,979,000 (2012 - £8,868,000), a 24% increase over the corresponding period. The operating profit, before pre-opening costs, share based payments and interest, was £1,045,000 (2012 - £752,000), a 39% increase over last year. Basic and diluted earnings per share for the period were 1.28p and 1.25p (2012 - 0.75p and 0.74p)." Can they look keep growing during this period of austerity? Results are weighted towards H2 so I guess christmas is going to be important for them. 40 of my former software development colleagues have just been made redundant so I'm wondering if that's a trend that's going to continue and of course that has a belt tightening effect on not only those made redundant, but those who survived and everyone who is connected to all parties. Sprue Aegis (OFEX:SPRP) also have interims out reporting record turnover and operating profits. "The benefits of the multi-year contracts secured in 2012 are coming through in incremental sales and profit and the Group's full year results are expected to be in line with the Board's expectations"
I like this small company that appears to be punching above its weight in terms of its competitive position. It's my single largest holding and represents 10% of my total portfolio. Lers hope it continues to post new records. Reference to Hargreaves, I thought that there had been a slump in coal prices this last 2 years! Tasty - Wildwood, The Old Bear - I've eaten at their restaurant in Cobham, I just dropped in for a family lunch. It's comfortably decorated, not flashy but an easy place to relax, the food was above average and the prices reasonable. Good service from a waitress who lived locally. Reference to man741's comment about Hargreaves. Yes, due to increasing worldwide production capacity, coal prices have been falling since 2008 and are expected to continue falling for the next few years. I stand corrected on coal prices - Google let me down on this occasion! I'll ask £hsg how correlated their profits are to coal price. It seems good to me that their profit has been rising in recent years, if coal price falling. On a presentational issue, do readers like the border around the graphics today, or better without? Thumbs down = no, preferred it before, with no borders on graphics. looks as though it may be cheaper today in real terms than 10y ago! now why are we closing our coal fired power stations i wonder? Not sure the thumbs down is working! If it were I'd certainly be pressing it. Borders are often over-used, nearly always unnecessary, and just contribute to visual clutter (like most of the things that Microsoft have encouraged a generation of users to do in PowerPoint). Take a leaf out of Jonny Ive's book: less is more when it comes to design.  If you feel compelled to add borders, at least make them grey, to match the rules on the rest of the Stockpedia page. Don't know your schedule tomorrow but if you have a gap before ED - IOF are presenting their results to their PI's at The Grange St Pauls Hotel, 10 Godiman St, EC4V 5AJ at 2pm. I know its a BB favourite but exciting story of massive potential and with revenue. Nice to see a Company presenting results to PI's. Up to this year Hargreaves were a steady, reliable growth company with a reputation for good management. The question is whether these were two (huge) blips and they can now resume consistent growth. Or are the management accident prone in which case the low p/e is justified. Did you have any thoughts on HSP after meeting the management? I've been long for a while and am around break even. Like others I was disappointed with the closed rights issue and frustrated by Maltby and the fraud in Belgium.